Villas Cavo Marathia - 4**** rated apartment complex with panorama pool, situated at the quiet dead end at Cape of Marathias on Zakynthos Island. An idyllic pebble beach and tavernas are 800m walking distance. Two diving bases, bars, restaurant and shopping amenities are five minutes by car. 29092, Europe, Greece, Corfu - Ionian Islands, Zakynthos ,Zakynthos. Villas Cavo Marathia - 4**** rated apartment complex with panorama pool, situated at the quiet dead end at Cape of Marathias on Zakynthos Island. 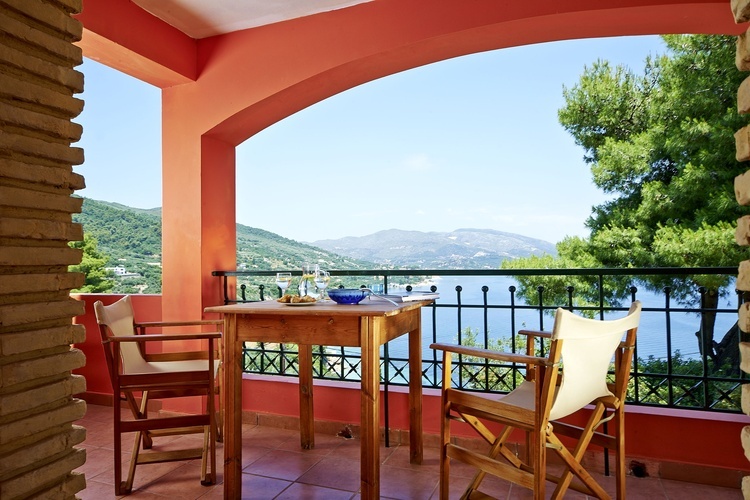 Individually designed studios and apartments, pool, each featuring a balcony with with panoramic view. Spacious studio, kitchenette, magnificent sea view over the bay and to Turtle Island from your comfortable balcony. Fresh & healthy breakfast buffet on request. 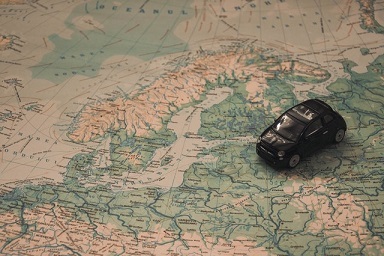 We highly recommend a rental car and are happy to help you with the booking. We would love to welcome you! 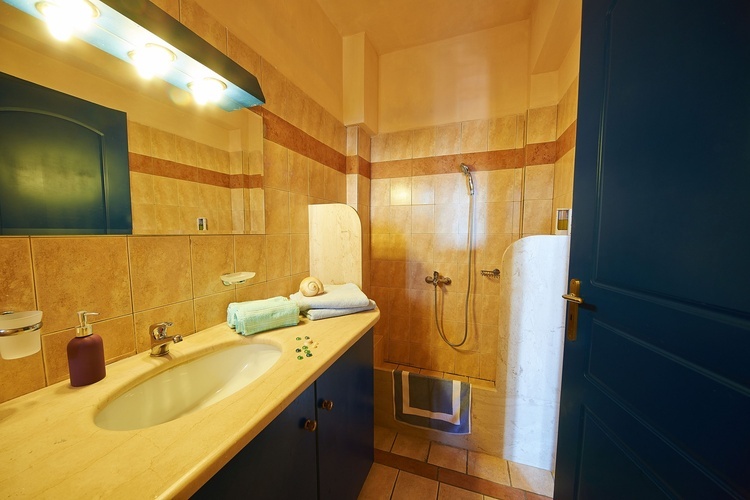 Are you looking for an individual stay in a quiet surrounding? 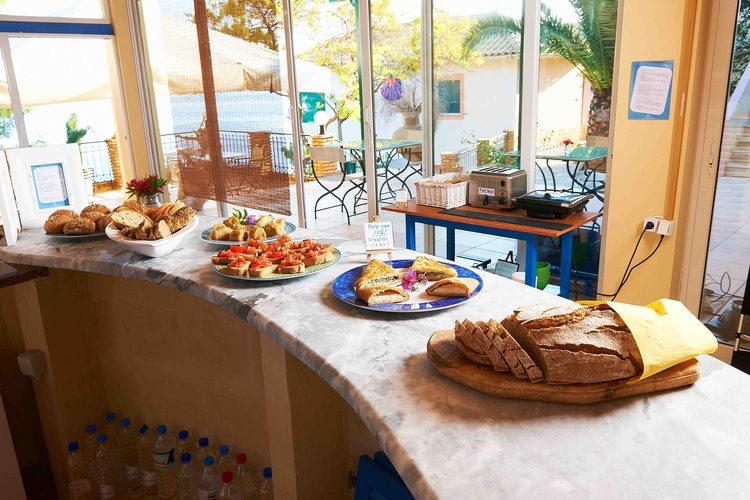 We offer Greek hospitality in a unique surrounding, combined with hotel service and more. 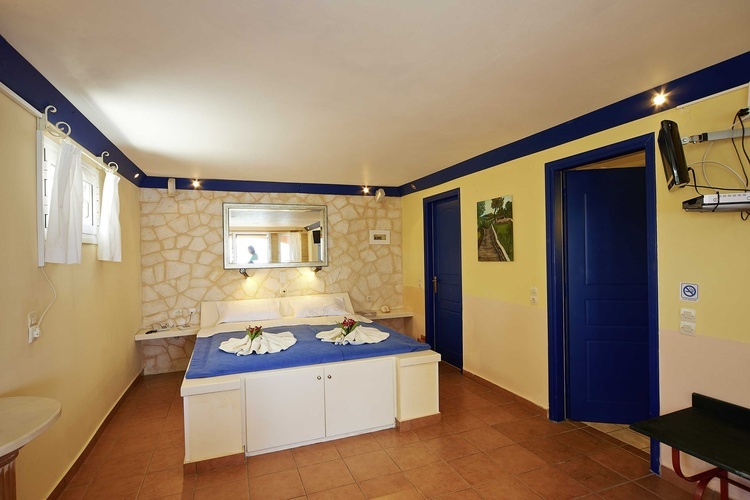 We speek English, German and Greek and are looking forward to welcome you as our guests on Zante! Villas Cavo Marathia lies amidst the largest nature reserve on the Ionian island of Zakynthos, the Bay of Marathias belongs to the WWF National Park. Discover our flora and fauna, watch the sea turtles of Zakynthos - with a little luck you will see one of these endangered animals in our little beach cove. The romantic pebble beach with crystal clear water is only 800 meters away from our residence. 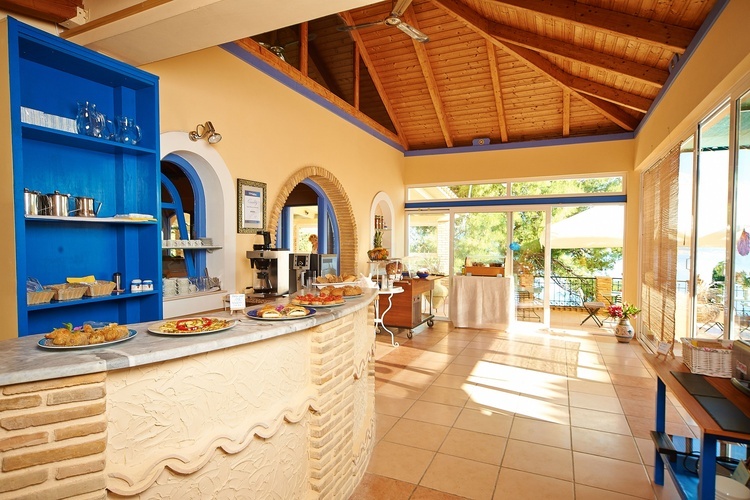 Above the cove you will find two authentic tavernas serving local cuisine. Immerse yourself in the nearby, beautiful diving spots - the most beautiful and famous around the Ionian Sea - with crystal clear, sparkling water. Or you can snorkel in the grottos and mysterious caves on the Cape of Marathias. In our idyllic harbor town of Limni Keri – only two miles away – you find a PADI diving school and you can also go shopping, dine or rent a boat to explore the beautiful bay. 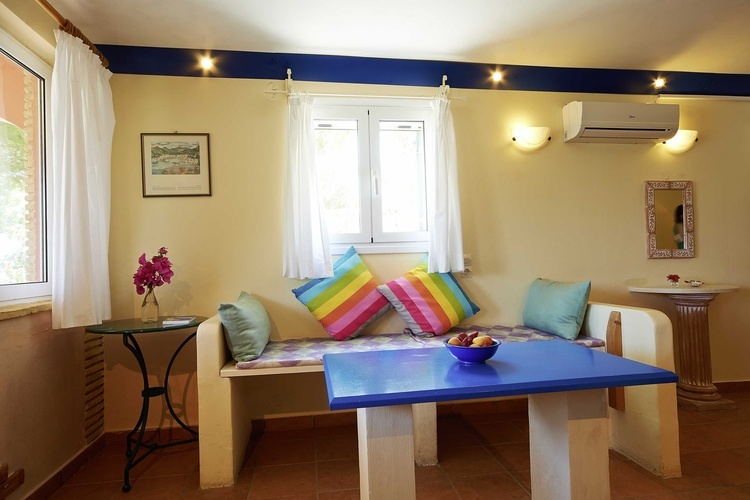 Your holiday home on the Ionian Island Zakynthos is situated at a beautiful hillside location at the quiet end of the Cape of Marathias. On the 1.5 acre property of Villas Cavo Marathia a panoramic pool and 14 apartments - distributed in two traditionally build complexes - for couples and families are distributed and accessible via small paths and steps. 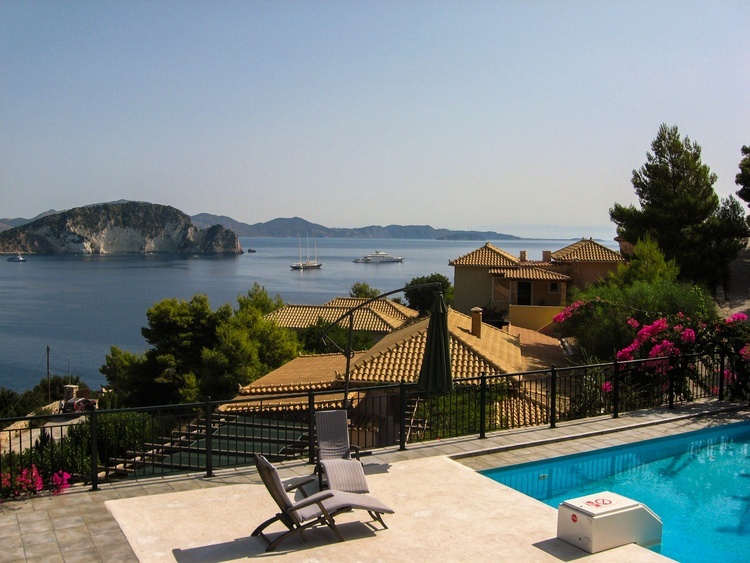 You arrive, take a deep breath, and immediately relax your mind: In Villas Cavo Marathia on Zakynthos you have from your own private balcony or terrace an unrivaled panoramic view over the bay of Marathias and the Turtle Island of Zakynthos. So it's the ideal place to have breakfast on a warm summer day or enjoy a light meal with a good bottle of wine. Housekeeping is provided twice a week. WLAN available in the lounge for free. 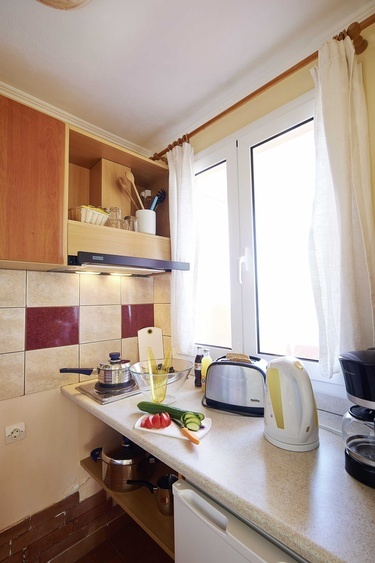 We are a mixture of hotel and apartment complex: On the one hand our guests enjoy the size of an apartment, including self-catering accommodation with a kitchenette. However, we also provide bed linen and towels and offer every second day room service so that our guests don't miss out on relaxation. 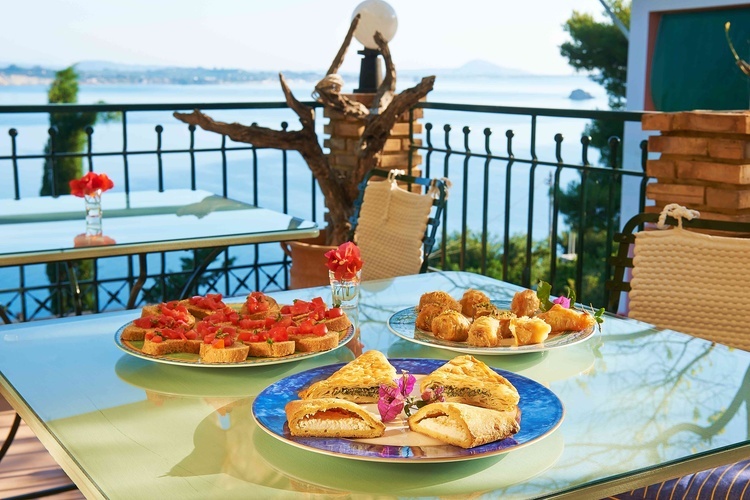 Furthermore they can treat themselves to our varied breakfast buffet on the Panorama Terrace. In general we try to distinguish ourselves from large hotels by providing a certain extra of services and a very personal touch. So for example, we're happy to book a rental car for our guests at a special price or to give detailed advice on island trips and culinary delights, depending on the gusto.